How do we feel? Did we achieve our expectations? What was it all about? … Time to reflect! 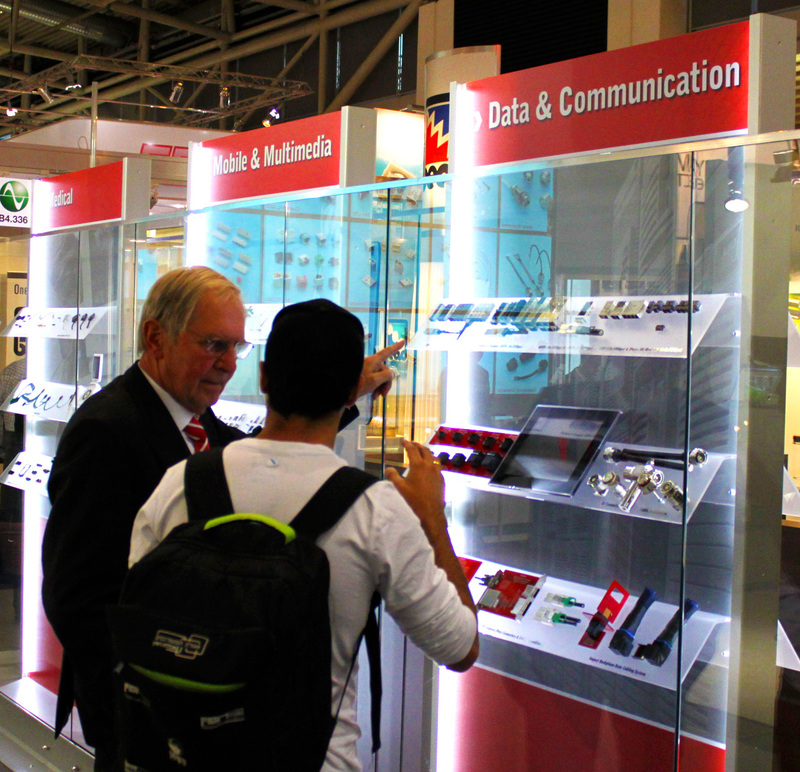 Yes, electronica 2010 had more than 70,000 visitors at the show who tried to navigate between 2,595 exhibitors. This year, the Molex booth showed only a few product displays, but kept a lot of space for communication, and this was goooood. Good, because communicating with our customers who came to see us was more important than showing body paintings in order to attract visitors who are not interested in connectors. Good because we were able to pay attention to the questions and needs of our customers. Good because the communication concept worked and on Wednesday and Thursday we had difficulties finding a space for customers who came by with the purpose of talking to individuals from a global connector company… about applications, about products, and about future programs and solutions to make connectivity happen. In the arena of high speed data communication, I had a full house. My customers came on time (unusual in former times), but I run out of time since talks were longer and more detailed than expected. We spoke about switch concepts, solved I/O puzzles with speed and density, and discussed mezzanine concepts down to the processes to reflow these connectors on the boards. Although we believe our web is close to perfect, I had many detailed questions about derating and maximum current for Micro Fit 3.0™, how to pin out FFC connectors for gigabit data rates, and I had even customers bringing products with them and asking whether this is a genuine Molex product. Obviously our customers are convinced about Molex quality and do not want to use fake products in order to assure the quality of their equipments. Our “Molecular Gastronomy” team served cocktails in test-tubes (an interesting experience), meanwhile our social media team took interviews for the Molex multimedia sites. The only negatives you figure out is that you did not have time to follow the many supporting programs that took place in parallel, whether it was the electronic automotive conference, the Wireless Congress, e-mobility or the forums. After being busy for four days, there was no time to relax afterward. Follow up is the key for success, and I am glad to be back to a clean sheet, having all questions and inquiries answered. Talking to people from the component industry, there is a general consensus about electronic 2010: It was a meeting point for the industry, and interactive personal communication with the customer is still key in a world where information is available at a mouse click on the Internet.